This article is about the prehistoric site. For the modern village and civil parish containing it, see Avebury, Wiltshire. Avebury (/ˈeɪvbəri/) is a Neolithic henge monument containing three stone circles, around the village of Avebury in Wiltshire, in southwest England. One of the best known prehistoric sites in Britain, it contains the largest megalithic stone circle in the world. It is both a tourist attraction and a place of religious importance to contemporary pagans. Constructed over several hundred years in the Third Millennium BC, during the Neolithic, or New Stone Age, the monument comprises a large henge (a bank and a ditch) with a large outer stone circle and two separate smaller stone circles situated inside the centre of the monument. Its original purpose is unknown, although archaeologists believe that it was most likely used for some form of ritual or ceremony. The Avebury monument is a part of a larger prehistoric landscape containing several older monuments nearby, including West Kennet Long Barrow, Windmill Hill and Silbury Hill. At grid reference SU10266996, Avebury is respectively about 6 and 7 miles (10 and 11 km) from the modern towns of Marlborough and Calne. Avebury lies in an area of chalkland in the Upper Kennet Valley that forms the catchment for the River Kennet and supports local springs and seasonal watercourses. The monument stands slightly above the local landscape, sitting on a low chalk ridge 160 m (520 ft) above sea level; to the east are the Marlborough Downs, an area of lowland hills. 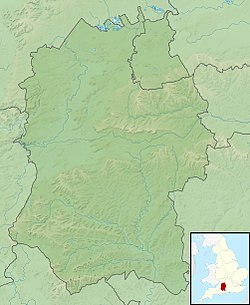 The site lies at the centre of a collection of Neolithic and early Bronze Age monuments and was inscribed as a World Heritage Site in a co-listing with the monuments at Stonehenge, 17 miles (27 km) to the south, in 1986. It is now listed as part of the Stonehenge, Avebury and Associated Sites World Heritage Site. The monuments are preserved as part of a Neolithic and Bronze Age landscape for the information they provide regarding prehistoric people's relationship with the landscape. The two monuments of West Kennet Long Barrow and Silbury Hill were constructed in the nearby vicinity of Avebury several centuries before the henge was built. "After over a thousand years of early farming, a way of life based on ancestral tombs, forest clearance and settlement expansion came to an end. This was a time of important social changes." The Avebury monument is a henge, a type of monument consisting of a large circular bank with an internal ditch. The henge is not perfectly circular and measures 347.4 metres (380 yd) in diameter and over 1,000 metres (1,090 yd) in circumference. Radiocarbon dating suggests that the henge was made by the middle of the third millennium BC. The henge, although clearly forming an imposing boundary to the circle, could have had a purpose that was not defensive as the ditch is on the inside (this is the defining characteristic of a Henge.) Being a henge and stone circle site, astronomical alignments are a common theory to explain the positioning of the stones at Avebury. The relationships between the causewayed enclosure, Avebury stone circles, and West Kennet Long Barrow to the south, has caused some to describe the area as a "ritual complex" – a site with many monuments of interlocking religious function. Based on the scale of the site and wealth of archaeological material found in its ditches, particularly animal bone, it is theorized that the enclosure on Windmill Hill was a major, extra-regional focus for gatherings and feasting events. In the Early Mediaeval period, which began in the 5th century following the collapse of Roman rule, Anglo-Saxon tribes from continental Europe migrated to southern Britain, where they may have come into conflict with the Britons already settled there. Aubrey Burl suggested the possibility that a small group of British warriors may have used Avebury as a fortified site to defend themselves from Anglo-Saxon attack. He gained this idea from etymological evidence, suggesting that the site may have been called weala-dic, meaning "moat of the Britons", in Old English, the language of the Anglo-Saxons. The skeletal remains of the man, likely a barber-surgeon, who was killed in an accident whilst trying to topple the stones at Avebury in the early 14th century. By the Late Mediaeval period, England had been entirely converted to Christianity, and Avebury, being an evidently non-Christian monument, began to be associated with the Devil in the popular imagination of the locals. The largest stone at the southern entrance became known as the Devil's Chair, the three stones that once formed the Beckhampton Cove became known as the Devil's Quoits and the stones inside the North Circle became known as the Devil's Brand-Irons. At some point in the early 14th century, villagers began to demolish the monument by pulling down the large standing stones and burying them in ready-dug pits at the side, presumably because they were seen as having been erected by the Devil and thereby being in opposition to the village's Christian beliefs. Although it is unknown how this situation came about, archaeologist Aubrey Burl suggests that it might have been at the prompting of the local Christian priest, with the likely contenders being either Thomas Mayn (who served in the village from 1298 to 1319), or John de Hoby (who served from 1319 to 1324). The antiquarians John Aubrey and William Stukeley are responsible for initiating modern study of the Avebury monument. In April 2003, during preparations to straighten some of the stones, one was found to be buried at least 2.1 metres (7 ft) below ground. It was estimated to weigh more than 100 tons, making it one of the largest ever found in the UK. Later that year, a geophysical survey of the southeast and northeast quadrants of the circle by the National Trust revealed at least 15 of the megaliths lying buried. The National Trust were able to identify their sizes, the direction in which they are lying, and where they fitted in the circle. The Alexander Keiller Museum features the prehistoric artifacts collected by archaeologist and businessman Alexander Keiller, which include many artifacts found at Avebury. It can reasonably be said that ". . .Avebury today is largely Keiller's creation".A pioneer in the use of aerial archaeology, by the late 1930s Keiller had used his inherited wealth to acquire 950 acres of land around Avebury. He carried out extensive exploratory work which included demolishing newer structures and re-erecting stone pillars, and built the museum now bearing his name.The museum is located in the 17th-century stables gallery, and is operated by English Heritage and the National Trust. The nearby 17th-century threshing barn houses a permanent exhibit gallery about Avebury and its history. Founded by Keiller in 1938, the collections feature artifacts mostly of Neolithic and Early Bronze Age date, with other items from the Anglo-Saxon and later periods. The museum also features the skeleton of a child nicknamed "Charlie", found in a ditch at Windmill Hill, Avebury. The Council of British Druid Orders requested that the skeleton be re-buried in 2006, but in April 2010 the decision was made to keep the skeleton on public view. From the mid 1960s to her death in 1978, Faith Vatcher was the curator of the museum. She was heavily involved in the excavations on the western side of the henge in 1969 and in what is now the modern day visitor car park, in 1976. The museum collections are owned by the Department for Culture, Media and Sport and are on loan to English Heritage. A fictionalised version of Avebury, known as "Wansbury Ring", is featured in Mary Rayner's 1975 novel The Witch-Finder. On 1 April 2014, as part of an April Fool's Day prank, the National Trust claimed through social media and a press release that their rangers were moving one of the stones in order to realign the circle with British Summer Time. The story was picked up by local media  and The Guardian's "Best of the Web". Crop circle – nearly half of all circles found in the UK in 2003 were located within a 15 km radius of the site. Cherhill White Horse – nearby hill figure. ^ a b Burl 2002. p. 154. ^ a b Gillings and Pollard 2004. p. 6. ^ a b Historic England. "Avebury Henge (220746)". PastScape. Retrieved 27 February 2008. ^ "Stonehenge, Avebury and Associated Sites". UNESCO.org. Archived from the original on 10 March 2008. Retrieved 27 February 2008. ^ "Stonehenge, Avebury and Associated Sites". UNESCO. Retrieved 26 July 2009. ^ Malone 1989. pp. 31–32. ^ Malone 1989. pp. 31, 34–35. ^ Gillings and Pollard 2004. p 23. ^ Adkins, Adkins and Leitch 2008. pp. 25–26. ^ Gillings and Pollard 2004. pp. 23–25. ^ a b Gillings and Pollard 2004. p. 26. ^ Gillings and Pollard 2004. p. 25. ^ Gillings and Pollard 2004. pp. 29–33. ^ Gillings and Pollard 2004. p. 34. ^ Parker Pearson 2005. p. 57. ^ Parker Pearson 2005. pp. 56–57. ^ Parker Pearson 2005. pp. 58–59. ^ Barrett 1994. p. 13. ^ a b Malone 1989 p. 38. ^ Parker Pearson 2005. p. 67. ^ Watson 2001. p. 309. ^ Malone, Caroline (2011). Neolithic Britain and Ireland. Stroud, Gloucestershire: The History Press. p. 172. ISBN 9780752414423. ^ Burl 2002. pp. 197-199. ^ Malone 1989. p. 107. ^ a b Watson 2001. p. 304. ^ Gillings and Pollard 2004. p. 07. ^ "Avebury". The National Trust. The National Trust. 2009. Archived from the original on 22 June 2009. Retrieved 16 June 2009. ^ Darvill, Timothy (1996). Prehistoric Britain from the air: a study of space, time and society. Cambridge University Press. p. 185. ISBN 978-0-521-55132-8. ^ Cleal, R. 2001 "Neolithic and Early Bronze Age", in A. Chadburn and M. Pomeroy-Kellinger (eds. ), Archaeological Research Agenda for the Avebury World Heritage Site. Wessex Archaeology/English Heritage, Wessex, 63-67. ^ a b Watson 2001. p. 308. ^ Pollard and Gillings 1998. p. 156. ^ Watson 2001. p. 300. ^ Burl 1979. p. 27. ^ Burl 1979. p. 04. ^ Richards 1996. p. 206. ^ Burnham, Andy (2018). The Old Stones: A Field Guide to the Megalithic Sites of Britain and Ireland. Watkins Publishing. ISBN 1786781549. ^ Burl 1979. p. 03. ^ Burl 1979. p. 07. ^ Nichols 1990. pp. 21–25. ^ Alexander Thom (1 August 1967). Megalithic Sites in Britain, p. 100. Oxford Univ Pr on Demand. ISBN 978-0-19-813148-9. Retrieved 7 July 2011. ^ a b Burl 1979. p. 30. ^ Burl 1979. pp. 31–32. ^ Burl 1979. p. 31. ^ "Avebury Concise History". Wiltshire Council. Retrieved 8 November 2010. ^ a b Burl 1979. p. 32. ^ a b c d e Burl 1979. p. 33. ^ Burl 1979. p. 36. ^ Burl 1979. pp. 36–37. ^ Burl 1979. p. 37. ^ Burl 1979. p. 39. ^ a b Burl 1979. pp. 39–40. ^ Burl 1979. p. 40. ^ Burl 1979. pp. 40–41. ^ a b c Burl 1979. p. 41. ^ a b Burl 1979. pp. 41–43. ^ Burl 1979. pp. 43–45. ^ a b Burl 1979. p. 46. ^ Brown (2000), p. 179. ^ Burl 1979. pp. 47–49. ^ Burl 1979. p. 49. ^ "The shame of Avebury". Avebury a present from the past. Archived from the original on 20 June 2009. Retrieved 16 June 2009. ^ Burl 1979. p. 51. ^ Burl 1979. p. 51 and 57. ^ Burl 1979. p. 55. ^ Burl 1979. pp. 55–56. ^ "The Ditch and Bank of the Henge". avebury-web.co.uk. 2011. Retrieved 20 May 2014. ^ "The History of the Avebury Monuments" (PDF). Wessex Archaeology. Retrieved 20 May 2014. ^ Evans (2006), p. 11. ^ "100-ton stone astounds academics". BBC News. BBC. 17 April 2003. Retrieved 19 June 2009. ^ "'Lost' Avebury stones discovered". BBC News. BBC. 2 December 2003. Retrieved 19 June 2009. ^ "Buried megaliths discovered at stone circle site". Ananova News. Ananova Ltd. Archived from the original on 12 October 2004. Retrieved 19 June 2009. ^ Johnston, Philip (18 October 2000). "The man who made Avebury's stone circle" – via www.telegraph.co.uk. ^ "Heritage Key: Alexander Keiller Museum". Archived from the original on 12 July 2012. Retrieved 19 May 2010. ^ Blain and Wallis 2007. pp. 41 and 48. ^ Blain and Wallis 2007. p. 55. ^ Blain and Wallis 2007. p. 48. ^ Greywolf. "Gorsedd Caer Abiri". Druidry.co.uk. Archived from the original on 8 August 2012. Retrieved 15 August 2012. ^ Blain and Wallis 2007. pp. 64–65. ^ Blain and Wallis 2007. p. 64. ^ Burl 1979. p. 18. ^ "Sacred Sites, Contested Rights/Rites project:Paganisms, Archaeological Monuments, and Access". Archived from the original on 13 October 2016. Retrieved 5 December 2016. ^ "Avebury Sacred Sites Forum". Archived from the original on 18 May 2006. Retrieved 12 April 2006. ^ Burl 1979. p. 16. ^ Blain and Wallis 2007. p. 65. ^ Burl 1979. p. 17. ^ Bramwell 2009, pp. 159–160. ^ "Twitter / paultheranger: Just seen National Trust moving". Twitter.com. 1 April 2014. Retrieved 20 May 2014. ^ "National Trust's South West Blog – Putting the clock forward at Avebury Stone Circle". Ntsouthwest.co.uk. 17 October 2013. Retrieved 20 May 2014. ^ Gazette, Western (1 April 2014). "National Trust reacts to clocks changing with stone move at ancient Avebury World Heritage Site". Western Gazette. Retrieved 20 May 2014. ^ "April Fools' Day jokes 2014 – the best on the web". The Guardian. 1 April 2014. Retrieved 20 May 2014. ^ "Avebury Parish Council". aveburyparishcouncil.org. Retrieved 7 September 2016. Adkins Roy; Adkins, Lesley & Leitch, Victoria (2008). The Handbook of British Archaeology (Revised Edition). London: Constable. ISBN 978-1-84529-606-3. Barrett, John C. (1994). Fragments from Antiquity: An Archaeology of Social Life in Britain, 2900–1200 BC. Oxford, UK and Cambridge, USA: Blackwell. ISBN 978-0-631-18954-1. Blain, Jenny & Wallis, Robert (2007). Sacred Sites Contested Rites/Rights: Pagan Engagements with Archaeological Monuments. Brighton and Portland: Sussex Academic Press. ISBN 978-1-84519-130-6. Burl, Aubrey (1979). Prehistoric Avebury. New Haven and London: Yale University Press. ISBN 0-300-02368-5. Burl, Aubrey (2002). Prehistoric Avebury (2nd edition). New Haven and London: Yale University Press. Gillings, Mark; Pollard, Joshua (2004). Avebury. London: Gerald Duckworth & Co. ISBN 0-7156-3240-X. Hutton, Ronald (1991). The Pagan Religions of the Ancient British Isles: Their Nature and Legacy. Oxford and Cambridge, Massachusetts: Blackwell. ISBN 978-0-631-17288-8. Pollard, Joshua; Reynolds, Andrew (2002). Avebury: Biography of a Landscape. Stroud, Gloucestershire: The History Press. ISBN 978-0-7524-1957-2. Malone, Caroline (1989). Avebury. London: B.T. Batsford and English Heritage. ISBN 0-7134-5960-3. Parker Pearson, Michael (2005). Bronze Age Britain (Revised Edition). London: B.T. Batsford and English Heritage. ISBN 978-0-7134-8849-4. Smith, I. (1965). Windmill Hill and Avebury: Excavations by Alexander Keiller 1925–1939. Oxford: Clarendon Press. Holgate, Robin (1987). "Neolithic settlement patterns at Avebury, Wiltshire". Antiquity. 61: 259–263. Archived from the original on 22 December 2012. Retrieved 27 March 2011. Pitts, Michael W. & Whittle, A. (1992). "Development and date of Avebury". Proceedings of the Prehistoric Society. 58: 203–212. doi:10.1017/s0079497x00004151. Pollard, Joshua; Gillings, Mark (1998). "Romancing the stones: towards a virtual and elemental Avebury". Archaeological Dialogues. 5: 143–164. doi:10.1017/s1380203800001276. Richards, Colin, C. (1996). "Monuments as Landscape: creating the centre of the world in late Neolithic Orkney". World Archaeology. 28 (2): 190–208. doi:10.1080/00438243.1996.9980340. JSTOR 125070. Watson, Aaron, A. (2001). "Composing Avebury". World Archaeology. 33 (2): 296–314. doi:10.1080/00438240120079307. JSTOR 827904. Blacket, W.S. (1883). Researches into the Lost Histories of America. London: Trübner & Co.
Brown, Peter Lancaster (2000). Megaliths, Myths and Men (illustrated ed.). Courier Dover Publications. ISBN 978-0-486-41145-3. Dames, Michael (1996). The Avebury Cycle (second edition). London: Thames & Hudson. ISBN 978-0-500-27886-4. Fergusson, James (1872). Rude Stone Monuments in All Countries. London: John Murray. Weaver, R. (1840). The Pagan Altar and Jehovah's Temple. 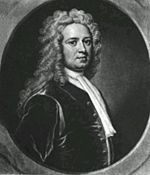 Thomas Ward and Co.
Wikimedia Commons has media related to Avebury. Wikisource has the text of the 1911 Encyclopædia Britannica article Avebury.